The tournament is scheduled for 54-holes of stroke play (18 holes each day) for Divisions A, B, C, and Girls 13-18 years old. The tournament is scheduled for 27-holes of stroke play (9 holes each day) for Divisions D and E, and Girls 12 & under. You must be a resident of Mississippi to play in this event. Particpants are required to be a MJGA member for this event. To register for a membership login to Online Registration (Remember the MJGA Login is at the Bottom of this screen) and you will see an option to the left for Membership Registration. Players are required to be Mississippi residents. 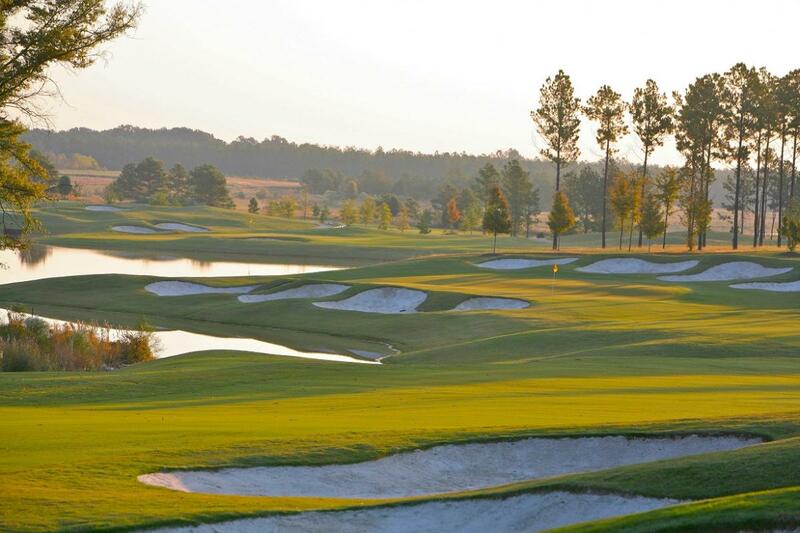 The MS Junior Amateur Championship is open to all juniors 18 and under. Pairings will be assigned randomly and posted online. Participants must be male or female amateurs 18 years old or younger. Participants must be bona fide residents of the state of Mississippi for at least 60 days prior to the first day of the tournament. Participants must be a member of the Mississippi Junior Golf Association. Awards will be presented following the completion of play for each division. Pairings for Round One will be posted Friday, July 20 by 4pm. Age Division Limits: When a division has reached capacity players will be placed on a waiting list. Boys Division A 16-18 year olds, Boys Division B 14-15 year olds: these groups will play from a tee measuring 6,600-7,000 yards in total course length. Boys Division C 12-13 year olds and Girls Division 13-18 year olds will play from a tee measuring 5,800-6,000 yards in total course length. Boys Division D 10-11 year olds and Girls Division D 10-12 will play 9 holes from the forward tees. Girls and Boys Division E 9 and Under will play 9 holes from 100-300 yards per hole. A player may play up one age group if they desire. Once a player plays up in the older division, he or she may not play down into the appropriate division for his or her age. This must be indicated when entering. In association with the Junior Amateur Championship the Mississippi Golf Association is hosting a Player Dinner at the Country Club of Jackson. The dinner will be held on Monday July 23.2018 from 6-8pm. As a part of this event there will be a mandatory Rules Meeting for all of the players followed by a Coach's Panel to conclude the night. All players participating in the Junior Amateur are required to attend this event Attire for this event will be business casual (Golf shirt and shorts/pants are fine). All player's entry to the dinner is included with the tournament entry fee. Any parents or other guests planning to attend the dinner must purchase a guest ticket ($35/person). All guests must purchase their tickets online by going to www.missgolf.org/register to reserve their tickets. A practice round is available for participants playing in the Junior Am and may be reserved by calling the golf shop at 601-605-8784. Practice round tee times are available on Monday, July 23 from 11am to 3pm. Spectator carts for practice round and for the championship are $25. Reunion Gofl & Country Club will not have breakfast available during the championship. The golf shop does accept cash and credit card. The grill only accepts credit card. Please make use of these Ridgeland hotels that have rooms on hold for our members. Mention the Mississippi Golf Association to reserve with these great rates. MJGA Points will be awarded to Mississippi Players who are MJGA members. Junior Golf Scoreboard Points will be awarded to all particpants. Top 5 Junior Am Boys (Division AB) are exempt into the following year State Amateur Championship. AJGA stars will be awarded if field size requirements are met for the tournament. The Bobby Chapman Junior Invitational is granting an exemption into this year's tournament to the 2018 Mississippi Boys Junior Amateur Champion. For more information on the Bobby Chapman Junior Invitational, please click here. 2018 Mississippi Boys' Junior Amateur Champion of the 14-15 Division, if not already exempt by the above criteria. *In order to receive an exemption into the 2019 Gator Invitational the player must be in the graduating class of 2019 or later. **The Gator Invitational does not have a female division. If a player withdraws prior to the entry deadline he/ she will receive a full refund, minus a $25 administration fee deducted from the entry fee amount not including processing fee). If a player withdraws after the entry deadline has passed, the player will not receive a refund. All entrants agree to abide by all MJGA Rules and Regulations concerning dress codes, gentlemanly conduct on the Club premises and course beverage policies. Individuals may not bring beverages on the club premises. Contestants (and their caddies) are to observe proper golf etiquette at all times. Any abuse or disrespect of fellow competitors, officials, spectators, employees of the host facility, or other persons conducting or attending an MJGA sponsored event can be grounds for disqualification from the event and possible rejection of entry for future MJGA events. Such abuse may be verbal or physical or threat thereof and includes, but is not limited to: the use of obscene language, physical damage to property or equipment of the MJGA or host facility. Appropriate golf attire is required at all MGA events. This includes collared shirts with sleeves that must be properly tucked in at all times, walking shorts or slacks. The dress code of the host facility will prevail if there is any question. All MJGA Tournaments are soft spoke only events.